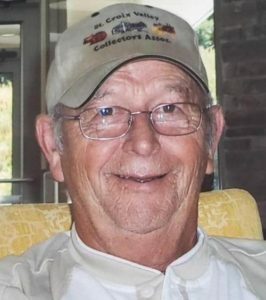 Clarence Paul Martin “Marty”, age 84 of New Richmond, WI died Sunday, January 27, 2019 at the Deerfield Gables Care Center in New Richmond. Visitation was Monday, February 4, 2019 from 10-12 at Bakken-Young Funeral & Cremation Services (728 S. Knowles Ave. New Richmond, WI 54017). A graveside service followed the visitation with interment in Boardman Cemetery. Military honors were performed by the American Legion Post 111 of Somerset. A celebration of life followed the graveside service at the Boardman Bypass (1403 County Road A, New Richmond, WI 54017). Arrangements are with Bakken-Young Funeral & Cremation Services. Our love and sympathy to you girls Paula, Marla, Carla, Mary, Terry and your families. Tighthugs from your family Nebraska. Marty you were a great friend. We will miss your smile and your laughter. You will be in our thoughts and our hearts. Love you Grandpa, you will be missed.